You cannot go wrong by sending a delicious fruit and cheese box for any occasion. 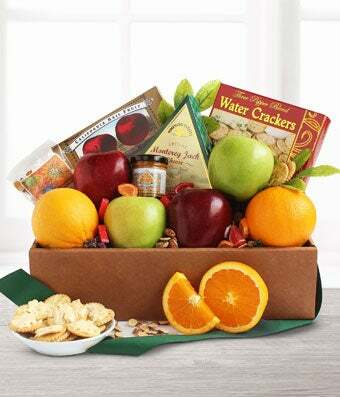 From anniversaries to job promotions and holidays this healthy basket filled with oranges, apples, crackers, almonds and cheese varieties is the ideal gift. The fruit and cheese box is delivered with a card for the recipient and can be delivered in the United States.